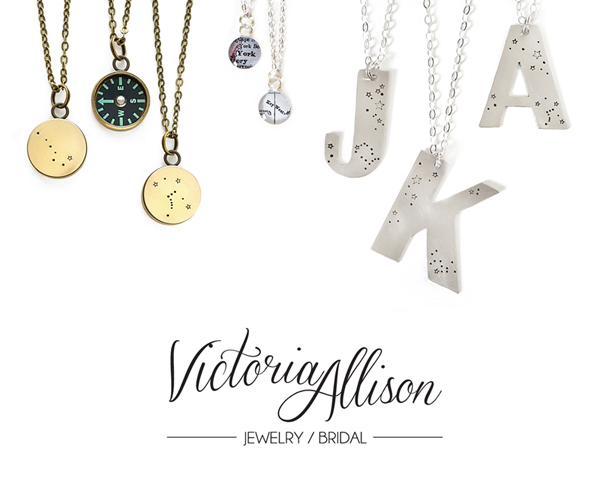 Victoria Allison Jewelry features re-purposed and modern jewelry to reflect your everyday personal style and enhance your special occasion wardrobe. The current collections featured include Map Jewelry (choose from popular cities or have one custom made just for you,) the Everyday Collection, and the Wedding & Bridal line. Each piece of jewelry is designed and hand-made for you by Victoria Camp-Allison in New York's lower Hudson Valley. Explore the collections... Map Jewelry, Everyday Collection, Wedding & Bridal..